Do you like Skype (better than SIP?!) but you don’t like to be near the computer when making phone calls? There is good news for you: at least a few companies have launched Skype devices that don’t require a PC. 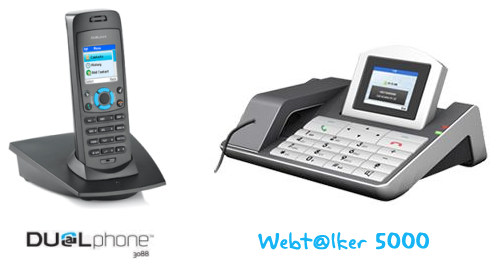 All you need is a broadband connection and one of these devices: DUALPhone 3088, Webtalker 5000, SMC WSKP100 or Netgear SPH101. Note: Alternatively you can use Skype for Mobile and a compatible PocketPC PDA.